This week has been fraught with issues dealing with honesty, character, integrity. For me, character truly counts. There are people who constantly feed you lines. I saw a “meme” that says, “Being honest never hurts anyone; being a liar only hurts you.” Boy, I wish that were emblazoned on the buildings of our government, and in our schools, and sadly enough, even in our churches. One of the definitions of integrity is choosing thoughts and actions based on values, rather than on personal, material gain. 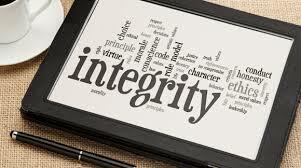 Another says it like this, “Wisdom is knowing the right path to take; integrity is taking it.” And I am reflecting on that based on this past week in my little world. I have watched our news stories and the strings that are followed by people on TV and in social media. Amid all the 9/11 remembrances we had, we somehow lost our focus from remembering those who had suffered and died, and instead we focused on football games and football players. Before someone jumps all over me, let me get this out there – I am against the players standing with fists raised or banding their arms together, or even sitting during our national anthem. I am sorry. I love having free speech and I exercise that on my blog. I will defend the athletes’ right to raise their fist during the song commemorating the freedoms hard won, which allows them to do that. I will. But I do not have to agree with it, nor do I have to like it. Personally, I get angry when men do not remove their hats, or people talk through it, or walk while the colors are being presented. We are not teaching our children to have respect for anything or anyone, other than themselves and their momentary glories. The whole “participation trophy” mentality of the millennial generation. It sickens me. We are entitled to nothing. We must earn everything. Our country has been going downhill for years, now. I refused to participate in leagues that gave trophies to all the kids when our kids were young. If they won something, that was given the attention and reward that was merited. The recent disrespect of our National Anthem and our flag by NFL teams and players, as well as some high school football teams, is demonstrative of this whole entitlement attitude. So many mouthpieces out there, cluttering up the airways. And the disrespect to our veterans, and to all those who lost their lives, especially on the anniversary of 9/11, made my family turn off the TV and ignore football. You have no idea how hard that is. We are a football family. We have shirts, blankets, jerseys…we support our teams. My daughter-in-law made me a blanket that has both of my teams on it – one on each side – so I can wrap it around myself while watching whichever of my teams is playing, while wearing a matching jersey! Turning off the TV was more difficult than I thought it would be. 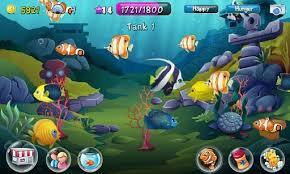 I ended up online, earning all these virtual tanks of fish by playing this silly aquarium game, and then feeding them and decorating the tanks on my Kindle Fire! Talk about desperate for entertainment – I then moved on to Angry Birds Rio, Angry Birds 2, Angry Birds Star Wars…it was sad. My husband rolled his eyes at me more than once, and he even went outside to stack firewood…he was desperate, too! And the fact that in amongst all this angst I was feeling about the NFL, I was asked to go to the office of someone running for political office. I had read his bio and read up on who he is as a man. But politics is messy and I was hesitant. It is so hard to explain what happened in that office. It was like this huge light bulb went off in my head. It was sort of like, “Oh. This is what it is like to walk and talk with like-minded people. Wow. It is so peaceful. It is so uplifting. I like this. A lot.” And I cannot get that out of my mind. Especially when faced with so much anger in the world. So much angst over behaviors. I lead with showing memes about honesty and speaking about integrity…then I went off on a seeming tangent to football players and disrespect. It is all intertwined. These players are entertainers. They hold no sway over me. In fact, in a roundabout way, they work for me. They provide me with entertainment. What happens if we all stop going to games? If we all turn off our TV on Sundays? What happens if we just say, “No!” and actually mean it? Their profession withers and dies. Sports figures, entertainment figures work for us. We can choose to put them out of a job. That is where our money and efforts come in to play. They do not function without someone giving them their hard-earned wages. Some movie stars think that because they played a character in a movie, they are now experts on that subject. I laugh at that. I read an article about the ice caps. It does not make me an expert on the issue of global warming. But for some people, one article does that. They go through life using a “cliff notes” approach. And they are asked to speak before Congress. (*Fist slap on forehead*). When you do not have to work for the result, the information floats in and out of your head at the speed of the next article you read or movie you choose to act in. They are entitled to their opinions. Agreed. But when did theirs become more important than mine? When did we allow the minority to hold sway over the majority? In the next couple of months, we will choose the direction this country will go in. And it is frightening. We saw played over and over again on social media and in the news, the story about Ms. Clinton passing out. Whatever your take on her politics, we should all be afraid of her declining health. Have you ever looked at photos of presidents taking their oath of office, and compared them to the day they leave office? Being the leader of the free world demands everything from our President. I do not think she is capable of leading our country. I am just concerned about her ability to physically sustain the office of President, leaving the character discussion for another time. 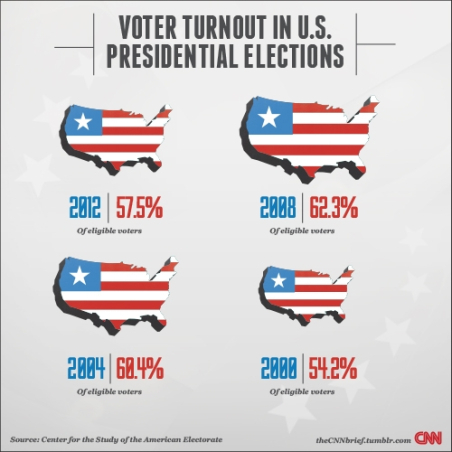 Aside from all of that, it is incumbent upon us, the voters in the USA, to actually vote. We have the power to elect this woman to the highest office in the free world, or not. We can just say, “No.” Statistically speaking, roughly 50-60% of eligible voters elected this governing body who currently rule over our country- the president, congress, etc – into office. That means that another roughly 50% of eligible voters stayed home. Why???? Do you want all those others to choose your next president for you? Do you want to allow the USA to sink further into the miasma of lies, lack of integrity, and character? Do you want to affect a change by the actions you take? 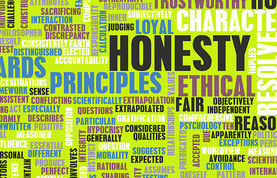 Do you want to take a stand for honesty and truth, and character and integrity? Not raising your fist or sitting out on the sidelines while the National Anthem plays, but making a real difference in our nation? You can do that, with a simple action. Sitting down, linking arms, raising your fist – those are advertisements, not actions for change. That is simply sharing your over-inflated opinion in a very visible way. It’s like an advertisement and not making a change. It’s making people angry and causing people to disrespect the game, and to actually tune more and more of those people out. I think it is sort of back-firing. There is just such a huge lack of integrity in public office these days. Our athletes, our actors…very few show integrity and character, but most are very wealthy. Some are stellar, don’t get me wrong, and are wonderful people, doing wonderful things with their fame and fortune. But those are the ones who see very little press coverage, and so the role models for our culture are those who are taking it down by their loud and corrupt actions. I have spoken before about clothing and modesty, lack of character and honesty…there is just so much trash on the TV (and in the movies) and that is what our families are exposed to (should we allow it into our homes to begin with) and is what our modern world is eating up. It is what they base their decision making on. Romans 12:2 tell us, “Do not be conformed to this world, but be transformed by the renewal of your mind, that by testing you may discern what is the will of God, what is good and acceptable and perfect.” Also, in Galatians 1:10 it says, “For am I now seeking the approval of man, or of God? Or am I trying to please man? 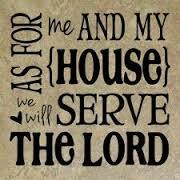 If I were still trying to please man, I would not be a servant of Christ.” John E. Lewis said, “If not us, then who? Participate. Find a candidate you can get behind 100%. Knock on doors, man the phones, pass out fliers, put signs in your yard or on your car (or both). Wear buttons on your shirt. Be a part of the solution. If no one tells our athletes, our actors, our politicians that what they are doing is wrong, or that what they do offends our sense of right and wrong, and goes against our character, they will keep on doing it. And more and more people will think it is okay to behave that way, to think that way, to vote that way, and work to coerce others to follow them, too. We need to teach that character truly counts; that integrity is the way to act – in all forums, at all times, in everything we do. We need to ensure our youth know and believe that truth always wins out. We can begin to take this country back. We can begin to re-instill the values our founding fathers fought long and hard to give to us in this amazing place we call home. I enjoyed so much meeting people in my community who think like I do. We do not all live next door to one another. We do not attend the same churches. We do not have the same educational levels. We are not of the same race. But it was life-giving and uplifting to hear others mirror what is in my heart. It made me realize that pockets of us are out there, trying to make a change and a difference in the direction in which our nation is going. We believe that right is right and wrong is wrong, and no amount of “political spin” can change that. The sheep can smell the wolf, in all its fake fur. So go out, commune with others who are like-minded. Let’s get a ground-swell going in our neighborhoods and bring this country back to what we knew when we were young, and know it can be, again. Permanence. Like black markers. 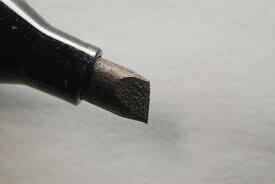 “That ink is permanent,” laments every mother who has tried to remove it from her walls or upholstery fabrics! Our weight; it fluctuates. We’d like to be permanently young and at the perfect weight. It just doesn’t happen. It takes lots of work and dedication. Looks are not permanent. It is the heart and soul of a person that remains, even until their dying breath. We are who we are, deep inside. And who are we? We are contemplating a new car. I dread the car payments and car insurance, so I am dragging my feet. And I dread driving a different car. I have had my car since 2004. I love this car. It fits me perfectly. People say, “Get a newer model.” Well, I would, except they stopped making it at my model year. Which I never did understand, because I see them everywhere. 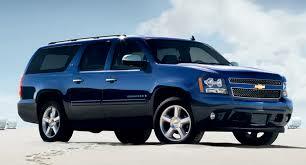 And my knee-jerk reaction, and preference, is to go for my favorite car ever, my Suburban. I loved – well, thoroughly enjoyed – that car. But it seems silly for an almost-empty-nester, and grandma, to drive such a large vehicle. I can haul my grandkids in it, yes, but not regularly enough to warrant driving that large of a vehicle. But when faced with obtaining something new, I reach for the familiar, the more permanent fixture in my life, because it is well within my comfort zone, and I have deliciously wonderful memories driving that blue Suburban everywhere. I was sad the day I traded it in for the car I have now. I would love to keep my current car, but if I need to replace it, I automatically want to return to my happy car! So many things come and go, and in reality, very little is permanent. This weekend we watched a movie about 9/11 and off and on during the entire show, I wept. I remember that day like it was yesterday. I recall how one of the Fire Chiefs they interviewed said that this was a day that was “out of our playbook.” And that “we have no plan to deal with a disaster of this magnitude.” And I remember feeling so helpless as people jumped from the buildings; I cannot imagine the grief of their family members or of those watching it in person. It was a frightening day. I cried all over again, as they said that over 200 people died jumping from those buildings. The Twin Towers were meant to be a permanent landmark to the free market and an icon in New York City. They were a permanent part of who we were, as a people. That day brought our country together. We did not care what color we were, or what sort of career we had, even which building we were fleeing from. We just helped the people next to us. Because, as a country, we had been cocky enough to not plan for an attack of this magnitude on our own soil, we had to rely on one another. And it did this country some good, being taken down to our knees, quite literally. As this show went on, my husband and I lamented that the nationalism that we felt during that time is gone. It was not permanent. The social tension is so high right now, and it explodes to the surface at the least stimulation. People are lashing out at one another. People attack and kill one another; we steal from one another and we have no respect for our neighbor, or his property. It is ridiculous how many break-ins we have had over the past year in the little area in which we live. We were chalking it up to teens being bored during the summertime, with its 20-hours of sunlight daily. But now we have learned it is just flat-out crime. People stealing cars out of driveways, 4-wheelers, shovels (I am not kidding), tires, dogs, breaking into cars and stealing ID and money and goods in the cars; destroying things just because they want them. Things that do not belong to them! Race and other factors have not entered into it. They are crimes of convenience. Nothing is sacred to anyone. Anything they want, they just think it is okay to take it. There is no thought of “we’re all in this together.” There is no nationalism, not even pride of neighborhood, home, and hearth. 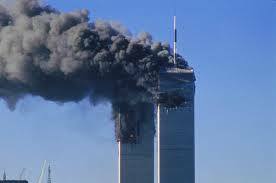 The country is far more divided and violent than it was on September 11th, when those planes struck the Twin Towers. Sometimes I wish things would remain static, but I know change comes through movement. I pray that people would gain wisdom and see the error of their ways. In this country, we have so much freedom and we spit in the face of it almost daily. The new controversy over this football player who refuses to stand for our National Anthem annoys me more than I can properly express. Yes, he has the right to express himself. Yes, it is a First Amendment right – something we take seriously in this Land of the Free. But it is also the Home of the Brave. And to not stand, to me, is an insult to those who fought to bring us these freedoms. Beginning with the farmers who would not bow to an imperial presence in our Colonies, to even my son, who served in two arenas of battle in recent years. So many have given all, so that this athlete can make a statement at a football game, even while insulting those who afforded him that right. A comment I read on Facebook today pointed out that he is nothing more than an entertainer. Athletes are entertainers. The corporation that hired him to put on his show at games, they are responsible to the people who watch those shows of athletic prowess. And there are lots and lots of financial supporters who put their dimes in, too; sponsors by the truckload. I would love to see people boycott the corporations that say it is okay to not stand, because they think that “we are a company that believes it is more important to express your personal rights than it is to show allegiance to the very country giving you this right, while you earn all the money we pay you.” Money, by the way, that comes from endorsements, and fans who wear their gear and go to their games to eat $25 hot dogs. If companies can come out in support of gay rights – the whole debacle about Target’s bathroom privileges comes to mind – then companies should be able to say things like, “If you are our employee, please be respectful and show respect in public for our country by standing for the National Anthem.” Period. But I doubt the NFL will require its players to stand for the National Anthem. Perhaps we fans of the game and the entertainment it provides us, should make our opinions known more forcefully, as in boycotting? You can choose to not attend games, not support this particular team, perhaps not purchase that jersey – or not. I am expecting that in the media, there will be backlash and controversy over this player’s comments and statements, and his refusal to stand. And there will be arguments. And ugliness. And if someone asks everyone to stop…just stop…and pray for one another? Ha-Ha. They would be laughed at. Because this is not about God. And that is where I beg to differ. In a sense, it is about God because this is a Christian country. Yes, some of our founders were not exactly your typical church-goers. But they whole-heartedly believed in keeping God in our country. They prayed. They prayed a lot. God was mentioned by them and through the process of putting together our founding documents. None of it was done without seeking the blessing of God. There are those (who number less than 8% combined, between atheists and agnostics) who profess no religion. There is a hefty 22% who profess no formal religious affiliation at all (although that does not necessarily mean they have no faith). That leaves 70% of the population who believes, and who try to attend Church, and identify as a Christian. 70 %. Where are they all???? The streets are empty of them; the media certainly is empty of them, for the most part. 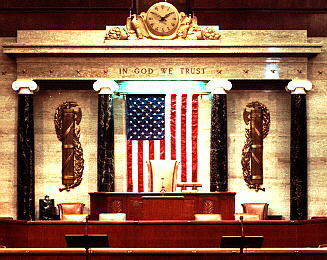 The above is in both the Senate and the House. In God We Trust. 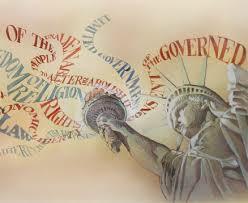 We entrusted our country to His providence because it is permanent. It does not change. It is something we can rely on and count on. Always. We do not espouse one practice of religion over another. We do, however, espouse a belief in God. That is not just a pithy statement. We had people who fled the religious persecution of England to establish a country free from that. We have welcomed those who are being persecuted for their faith to come and establish lives in America. We’re an open country like that (ask those who have fled countries that do not allow the practice of their faith. And those countries who persecute women. And those countries who put to death their citizens who disagree with the organizations in power). We do not, however, believe in removing God from all aspects of our public lives. We are not sneaking around, holding meetings in back rooms, but rather, we are bold in our faith. That is a laudable thing. An enviable thing. An attractive thing. There are so many ways to handle persecution. Our country has opened its doors to pretty much anyone who wants to come here. (Something I am not all that happy about. But that is a different subject). There are so many avenues available for those who want to defend the defenseless. We can become pro-life in all its aspects. We can honor those who choose life. We can assist the poor and the shut-in. We can honor our neighbors and our neighborhoods by helping make them a safe refuge. Grab a broom and sweep your streets. Wash graffiti off the walls. Clean up trash. Help the elderly who can no longer care for themselves. Support causes and organizations that go around doing good for others. 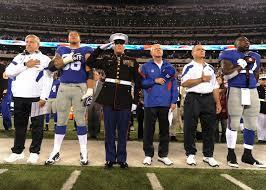 Sitting down when all others are standing in honor, and creating a furor, sends so many mixed, and wrong messages. “If we could change ourselves, the tendencies in the world would also change. As a man changes his own nature, so does the attitude of the world change towards him. … We need not wait to see what others do.” That quote from Gandhi is what was morphed into, “Be the change you want to see in others” for bumper stickers. But the message is intact. We need to change ourselves, our tiny neighborhood, in order for the ripples to be felt nationwide and worldwide. 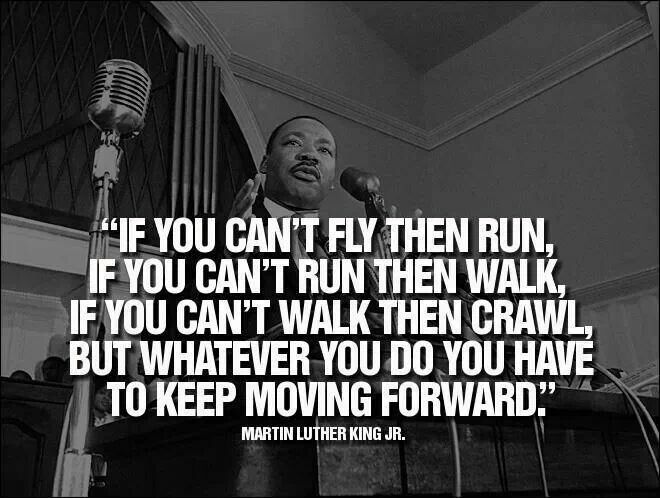 One of our most vocal and loved social thinkers and leaders was Martin Luther King. Jr. (He was an Independent. He did not adhere to either party in politics). 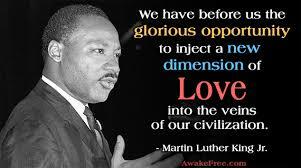 He was a deep-thinking man who believed in God and equality for all men. 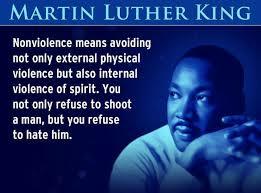 He would be appalled at the violence in this country. He preached kindness and meekness, and love for your fellow man. He believed that love trumped all else. He once said, “Darkness cannot drive out darkness, only light can do that. Hate cannot drive out hate, only love can do that.” I truly believe that if we cling to the permanent love of God, and embrace our neighbors as ourselves, we can conquer this ugliness that is pervading our country, and pervading the world. We are in a dark and difficult time and I am scared for my grandchildren. My grandmother apologized to me once, saying, “I am sorry for the mess my generation is leaving you. We had so little, and with the wars we went through, we wanted our children to not “want” for anything. They in turn sought that for you. But we made a tragic error in that we did not teach our children to work for what we gave them. They did not understand sacrifice. And now your generation, even more spoiled, does not either.” And I think she was right. We’re so entitled, we think someone else should take care of it. There is no sense of personal responsibility. 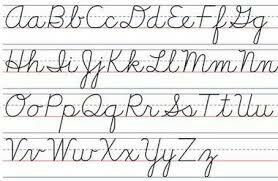 It’s silly, really, to bring this up, but they are not teaching cursive much anymore. There is no time in the day to do it. Teachers have to prepare kids for all these tests they require using Common Core-styled curriculum. So they allow kids to just print. It’s just an example of the shifting of our culture to being ever more technology-driven, and service-oriented. No one creates, makes, builds much in the USA any longer. We just service what we buy. And we use the internet for everything else. Subsequently, our next generation will no longer be able to read documents that give you original information, as they are written in cursive. The Declaration of Independence, for example. They’ll have to read it printed online somewhere. Pretty soon, cursive will be the same for future historians as Egyptian hieroglyphics were for the early historians in the 1800s. A mystery to be solved. And this brings me to my lament about permanence. There is so little. So much is transient these days. How we feel right now rules how we act right now. We do not adopt permanent beliefs about much of anything. Nothing sticks! We do not stand up for anything in a strident, permanent way. How the wind blows is how we vote. We chose this past president, twice, because he was different. We did not stop to think about qualifications for the office of President, we voted with the entertainers who were endorsing him. We went with public sentiment. And boy, have I met so many with regrets for that error! As I stated above, roughly 70% of our population, according to a 2014 census, identified with a particular Church. We are allowing the other 30% who have no belief in God, or who couldn’t care less about faith or God, run this country. I think it is time to reassert our permanent adherence to our collective faith in God. We need to stand for our National Anthem, we need to love our brothers and even our creepy neighbors, and we need to be people of character. We need to say “no” to the Hillarys of this world and deny the naysayers a place at this table. It is time we resolved to learn about this country of ours, learn about the issues and the candidates, and to take America back. I do not want to see another 9/11 happen in order for us to wake up. If you are part of this glorious 70%, please take a moment to think and to pray. What is the heritage you are leaving for who is coming after you? Are you leaving a safe and Godly place for others to flourish? What are you doing for your neighbor? I am angry. I am frightened. I am frustrated. And I feel so very helpless and inadequate to the task of taking this country back. “For where two or three gather in my name, there am I with them.” Matthew 18:20. As a collective body of voters and citizens, united in faith, we can remedy this situation! Whoever deigns to read this, take a moment to think about this and to pray about this. Determine your activity level, your involvement in making this country better. How can you help? Boycott something! Write a letter. Blog about it. Reach out to friends, family, neighbors. Be kind. Change your little corner of the world. Do something pro-active to ensure God remains permanently at the reigns in this country. Hit your knees and pray for our country and for each and every one of us in it. Be proactive at making sure God is the sovereign of this nation always and forever.